Make your logo bigger than life and communicate the strength of your company with a Corporate Identity. Building signs and lobby displays are but a few opportunities to communicate your brand to the public. Make that communication special with a unique display of your logo. For Corporate Identity, Building, Architectural and Directional Signs - nothing makes you stand out better than our 3-Dimensional Signage. To truly get noticed and break through the signage clutter - nothing is as effective as dimensional signage. 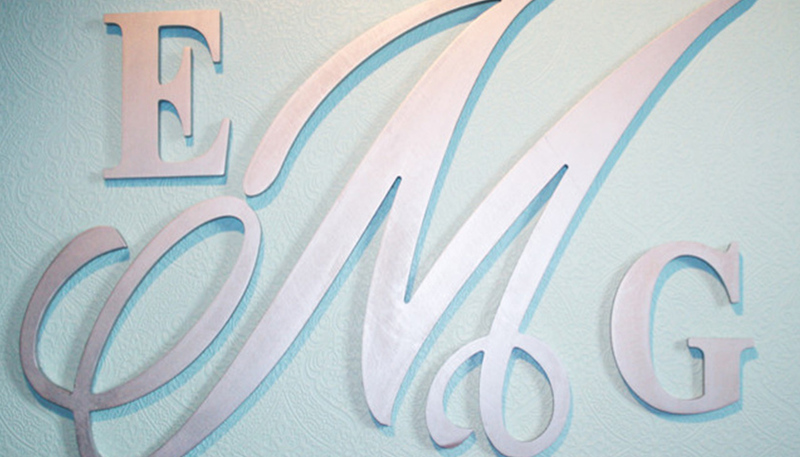 When you want to show your class, show your customers your style - nothing is as effective as dimensional signage. At Cowan Signs, we offer routed signs. Dimension 200 Routers are a versatile small footprint router designed for dimensional sign making and engraving applications. This is the ideal router to easily create all varieties of ADA and interior signage, yet quite capable of routing larger shapes for outdoor dimensional applications.